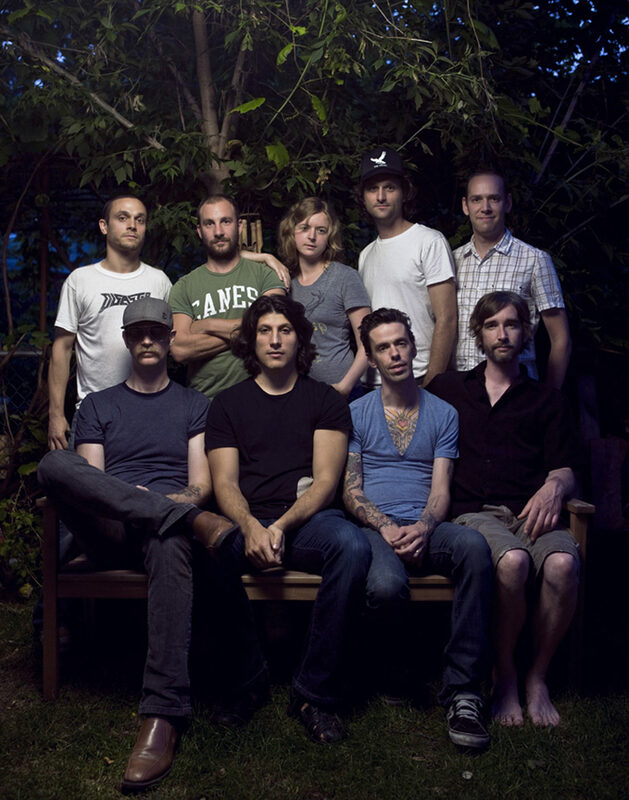 Do Make Say Think came together in Toronto in 1995-96 and self-released their self-recorded, self-titled debut CD in 1997. Constellation Records re-issued this record the following year and have worked with the band ever since. Four of the founding members continue to play in the group: Ohad Benchetrit, James Payment, Justin Small and Charles Spearin. Jason MacKenzie played drums, keyboards and electronics on the first two records, and Dave Mitchell joined in 1998. Do Make Say Think have consistently released superlative and critically acclaimed instrumental rock albums that feature highly original hybrids of psych, jazz, punk and electronica. They surpass the all-too-familiar confines of generic post-rock with every album, and are one of the few bands working today that manage to forge compelling instrumental rock with just the right balance of noise, narrative depth, compositional acumen, inventive mixing and editing, and melodic hooks. They have fostered a devoted audience in North America and Europe, and have toured extensively on both sides of the pond, as well as in Asia.